HALL Napa Valley, one of the leading luxury Cabernet Sauvignon producers in the world, has details on the release of the newest vintage of its flagship wine Kathryn Hall Cabernet Sauvignon, with a focus on the wine’s namesake. The wine is named after Vintner Kathryn Hall, who is best known globally as the former United States Ambassador to Austria, a philanthropist who has helped raise awareness and funds for numerous non-profit organizations, a prominent activist of change, and a New York Times Bestselling author. The Kathryn Hall Cabernet Sauvignon wine and the woman behind the wine embody pillars of strength, quality and consistency. The release of the coveted wine includes a series of campaigns dedicated to the wine’s consistent pedigree as well as insight into the woman behind the acclaimed wine label. Kathryn Hall has always had wine in her DNA. Kathryn Hall is as much powerful as she is personable. As a second generation Vintner with deep roots in Mendocino, Napa and Sonoma Counties, Kathryn learned how to farm grapes at an early age from her father Bob Walt, who instilled in her a philosophy that cutting corners is not an option, and that following environmentally sustainable practices was the right thing to do. Walt’s winegrowing mentality became the foundation for Kathryn across all of her future business efforts, and is today incorporated into her vineyards, production facilities, and various community projects. Kathryn’s philanthropic efforts throughout Napa and Sonoma Counties have helped raise over $8 million dollars for non-profits in education, health, science, technology and animal organizations within Napa Valley. Along with her husband, Craig Hall, her commitment to the community has been a central part of her focus in Napa Valley since the early 1990’s. Together, Craig and Kathryn have four children, one of whom, Jennifer Brown, is active in the family-owned winery. More information on the family’s community efforts is available at hallwines.com/wecare. Historically, the Kathryn Hall Cabernet Sauvignon is defined by its core of dark, succulent Sacrashe Vineyard fruit from the rugged eastern edge of Rutherford Appellation. The wine is characterized by an interplay of elegance and concentration and displays voluptuous, dark berry fruit aromas with notes of crushed lavender and graphite that carry over onto a dense palate. Since the first vintage was produced in 1992, this wine has been one of the highest rated in HALL’s portfolio, earning 50 scores rated 90 points and above from the industry’s top critics including The Wine Advocate, Wine Spectator, Wine Enthusiast and Vinous. The wine has been recognized by the Wine Spectator’s Top 100 list twice and the 2008 Kathryn Hall Cabernet Sauvignon earned the #2 spot in 2011. HALL has also produced a short video to help share the story of the woman and the wine. Viewers can watch Kathryn Hall telling this story HERE. 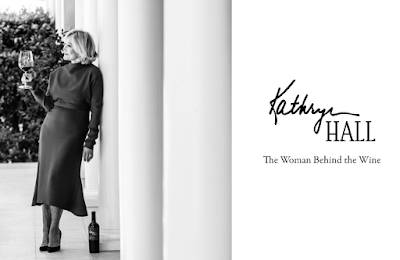 The flagship 2015 Kathryn Hall Cabernet will be available for public release on September 8 at the Kathryn Hall Release Party taking place at HALL St. Helena. Additionally, two regional Kathryn Hall Release parties will be taking place in Columbus, Ohio on September 10 and in Chicago, Illinois on September 13. The wine retails for $185 per bottle. The wine is made available for HALL Club Members to purchase in advance of the public sale, in limited quantities, to purchase online HERE. For more information, please visit hallwines.com, follow on social @hallwines, or by calling 707-967-2626. HALL produces award-winning Napa Valley Cabernet Sauvignon, available to taste and buy at two properties in Napa Valley as well as at hallwines.com. Owned by Craig and Kathryn Hall, its vineyard collection features seven Estate vineyards, of which five are California Certified Organic (CCOF). Led by Vice President and head winemaker Steve Leveque, HALL’s portfolio includes 19 distinctive Cabernet Sauvignon bottlings highlighting the finest vineyards and sub-appellations of the Napa Valley. The HALL St. Helena winery was the first LEED® Gold Certified Winery in the State of California in 2009 and earned another LEED® Gold certification for its high tech production facility and Tasting Room in 2014, making HALL a leader in green efficiencies. HALL’s 2008 ‘Kathryn Hall’ Cabernet earned the #2 spot in Wine Spectator’s “Top 100.” Two other bottlings, the ‘Exzellenz’ and ‘Rainin Vineyard’ Cabernet Sauvignons have garnered multiple 100 point ratings in recent years. For more information about HALL, please visit www.hallwines.com or by calling 707.967.2626. @hallwines #artofcabernet.